Musicians tend to attract quirky nicknames, and more than a few of them stick for life. Louis Armstrong was Satchmo, Coleman Hawkins was Bean, Charlie Parker was Bird, and Lester Young was known as Prez or Tickle Toe. Sometimes they take over an artist’s identity. When Furry Lewis was asked in the 1970s how he came to be known as “Furry”, he responded that he couldn’t remember anymore. In this mix, I’ll go through five of my favorite musicians with cool sobriquets. Of course, I’m leaving a lot of people off of this list, but here are a few of the really outstanding ones. 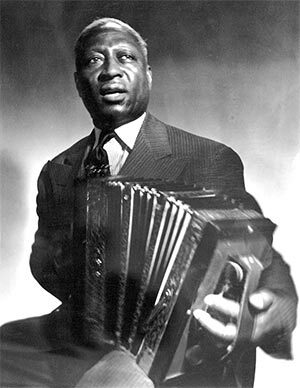 Huddie “Lead Belly” Ledbetter was a crucial figure bridging blues music and folk music. Bob Dylan joked that he’s probably the only convicted murderer to record a popular children’s album. Born in 1888, Lead Belly was in and out of prison for much of his life for a murder and an attempted murder, yet his musical talents earned him repeated pardons. He was a human jukebox, able to play in numerous different styles based on what his audiences wanted and was proficient on six-string guitar, twelve-string guitar, and the accordion. When John Lomax “discovered” him, he secured release his release from prison and employed him as a driver while Lead Belly established himself in the New York musical scene. He became famous rather quickly, and he toured Europe before his death in 1948. His records have been reprinted numerous times since then, and he has been covered by rock acts from Creedence Clearwater Revival and Bob Dylan to Nirvana. Lead Belly’s nickname has numerous possible explanations, none of them definitive. One theory held that he was shot with a shotgun in the stomach and survived — a possibility given his violent life. Another theory is that he earned the nickname drinking the homemade liquor inmates offered him in prison. 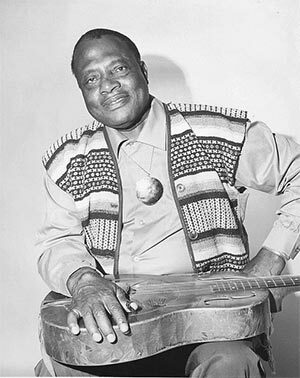 Booker “Bukka” White was a bluesman with a lot of character. John Fahey fondly recalled him late in life, noting that he was among the friendliest of the old blues musicians he’d ever met. White earned the nickname “Bukka” when a recording technician misheard his name, and it stuck after that. Born in 1909, he spent three years at Parchman Farm for shooting a man in the thigh, though he managed to skip the sentence for a few weeks to do some recording. White disappeared for close to twenty years at one point — a period when he helped his cousin B.B. King become established in the Memphis music scene. He was rediscovered in 1964 when John Fahey sent a letter to “Bukka White” in Aberdeen, Mississippi which eventually found its way to Memphis. White began recording again, sometimes working with his friend Furry Lewis, until his death in 1976. 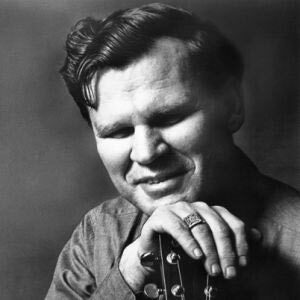 Arthel “Doc” Watson is among the most famous bluegrass guitarists to have ever lived. I feel a bit bad putting him on this list, because he’s still relatively well-known and only died a few years ago, but he did have a great nickname and was an incredible musician. Born in Deep Gap, North Carolina in 1923, Watson became blind at an early age. He admired Jimmie Rodgers and taught himself to play, eventually making a living as a musician. Watson earned the nickname “Doc” when an audience member shouted it at him during a show, and the nickname stuck for the rest of his life. When the folk revival was ramping up, Doc made the switch to exclusively acoustic instruments and began adapting fiddle tunes for the guitar. Once Doc began touring, his stage persona and considerable musical talent made him very famous; this endured until his death in 2012. 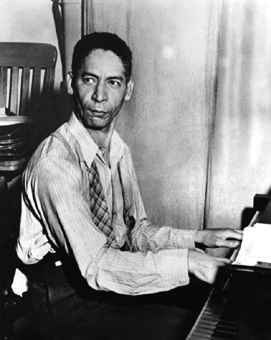 Ferdinand Joseph Lamothe, known as “Jelly Roll Morton” antagonized a lot of people and historians by claiming that he was solely responsible for the creation of jazz. He was not its sole creator, but he did a tremendous amount to popularize the music. Born in a creole family in New Orleans, he found employment playing as a piano player in one of the city’s many brothels. It was there that he earned the nickname “Jelly Roll,” a euphemism for just about every sexual act one can imagine. Morton was the first person we know of to transcribe and write down jazz music. He was tremendously successful during the 1920s, when his Red Hot Peppers were one of the most popular groups on the market. Unfortunately, Morton was cheated out of millions of dollars of royalties by Victor Records, and when the Great Depression hit, he was forced out of work with Victor. He floated through odd gigs throughout the 1930s and rarely recorded. Alan Lomax, the folklorist, conducted an eight-hour series of interviews with him before he died in 1941; it is available as a box set. If there’s any musician I wish I could catapult into global acclaim, it would be Hot Lips Page. 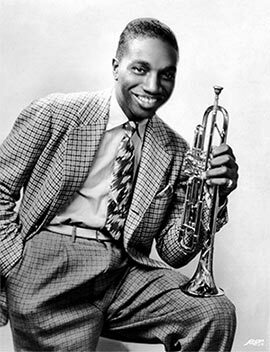 Born Oran Thaddeus Page (itself an extremely cool name), Page traveled around Texas as a teenager and attached himself to two famous orchestras: Bennie Moten’s Dixieland group, and Count Basie. On the eve of Count Basie’s success, Page left for a solo career and fronted numerous different large orchestras that never quite made it big but brought Page considerable fame among fellow musicians. He was the leader of the house band at the Apollo Theater in the early ’40s and spent time in Europe after the war. Tragically, he died in 1954 of a stroke at the age of 46. He’s a largely neglected figure today, known more as a sideman to more famous musicians.